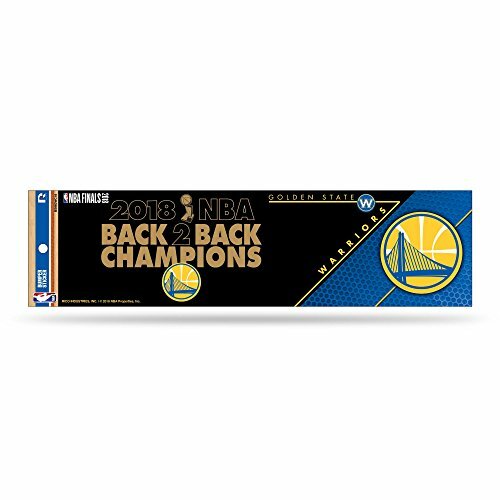 Celebrate the Golden State Warriors victory with this BUMPER STICKER!Show your team pride everywhere you go with this classic bumper sticker. Crisp full color graphic. Easy peel-and-stick application. Classic design and shape. Measures 12" wide and 3" tall.A terrific gift item.Quantities are limited order soon. Officially licensed by the Golden State Warriors and the NBA. NBA New Orleans Pelicans 22043013 Multi-Use Colored Decal, 5" x 6"